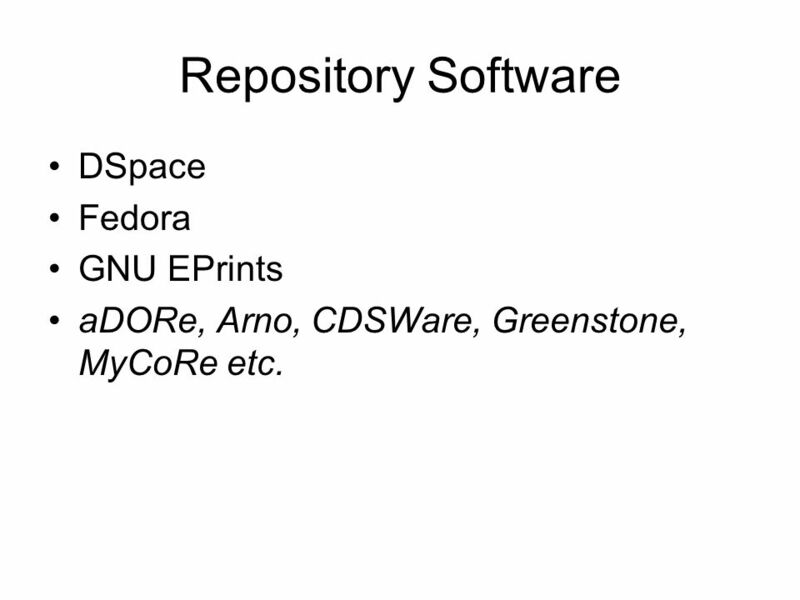 2 Repository Software DSpace Fedora GNU EPrints aDORe, Arno, CDSWare, Greenstone, MyCoRe etc. 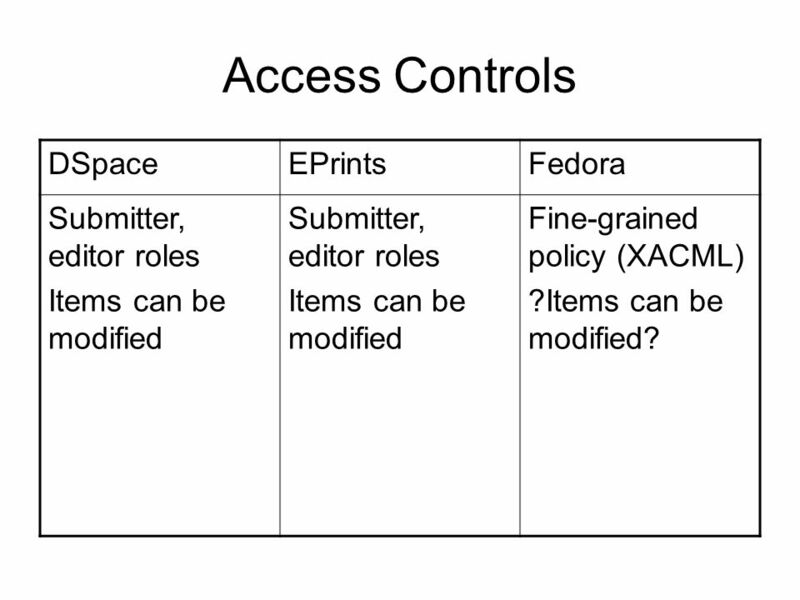 10 Access Controls DSpaceEPrintsFedora Submitter, editor roles Items can be modified Submitter, editor roles Items can be modified Fine-grained policy (XACML) ?Items can be modified? 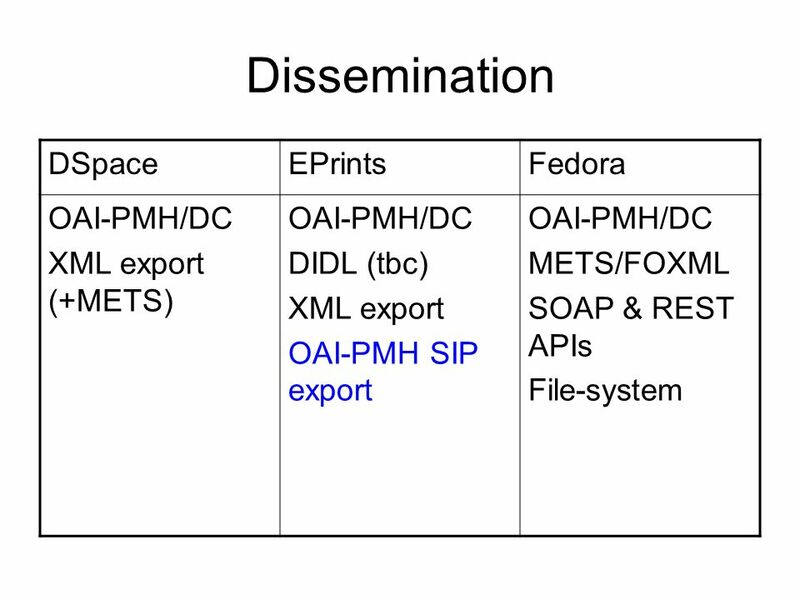 Download ppt "Preservation Features in Repository Software PRESERV: Tim Brody University of Southampton." 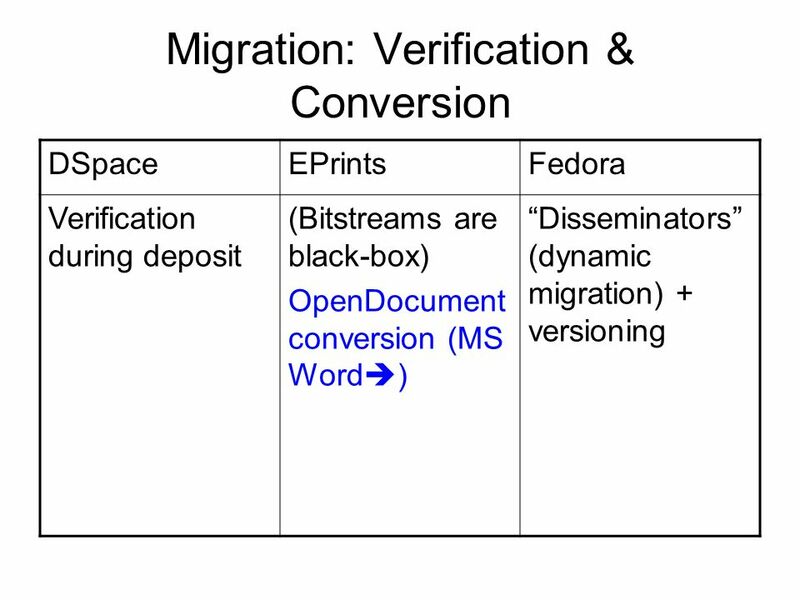 EPrint Software options William J Nixon DAEDALUS Project, University of Glasgow eFAIR Meeting, Southampton. 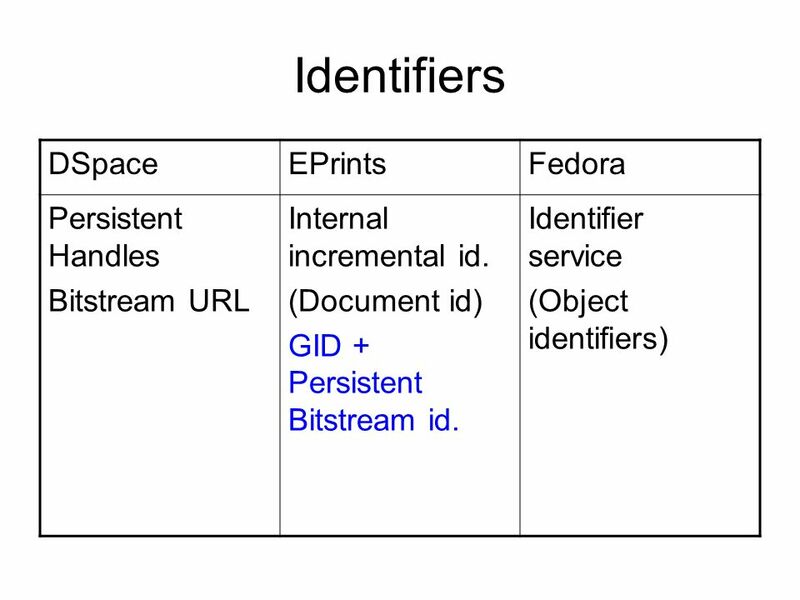 PRESERV a JISC 4/04 project Bid conditionally accepted Friday 24 th September Steve Hitchcock Intelligence Agents Multimedia Group, School of Electronics. 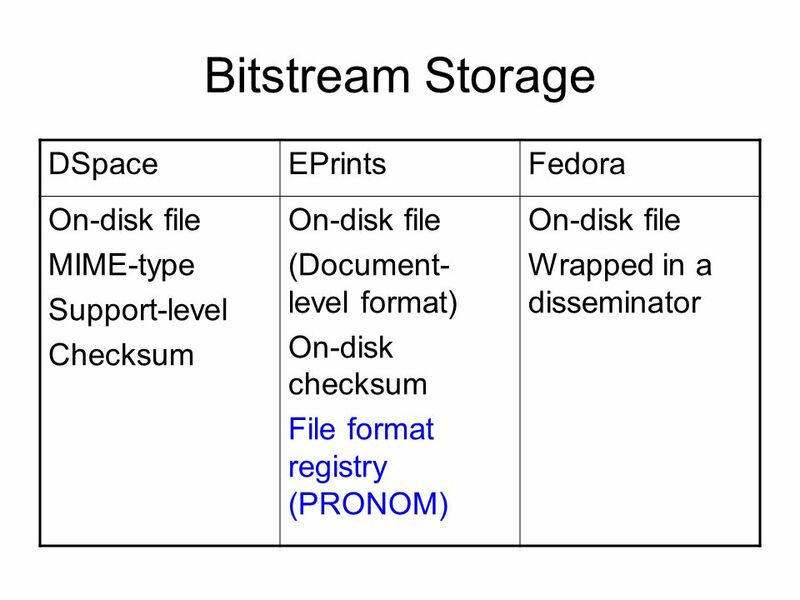 Digital Preservation: Logical and bit-stream preservation using Plato and Eprints Physical preservation with Eprints: 2 File Formats and Risk Analysis. 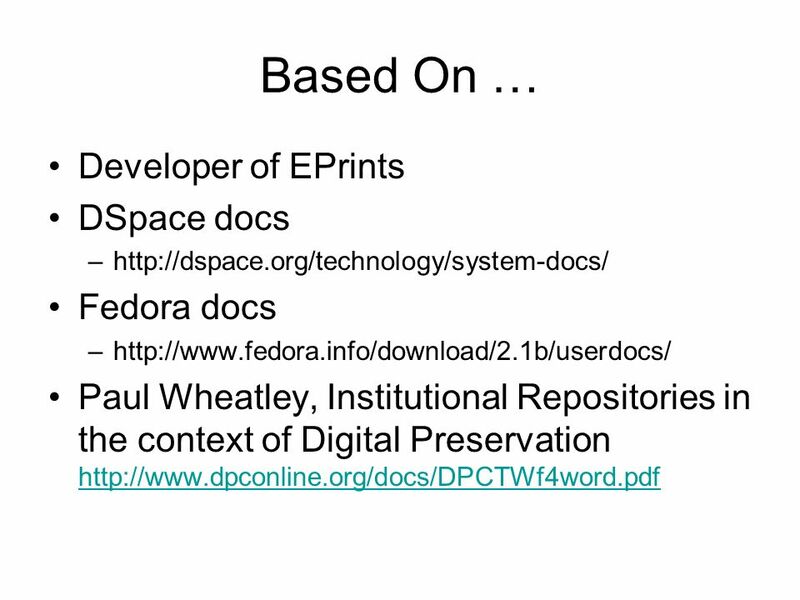 Digital Preservation for Digital Repositories David Tarrant University of Southampton (UK) Preserv Repository Preservation and Interoperability.org.uk. Joint Information Systems Committee 11/03/07 | | Slide 1 Joint Information Systems CommitteeSupporting education and research JISC Conference 2007 Managing. 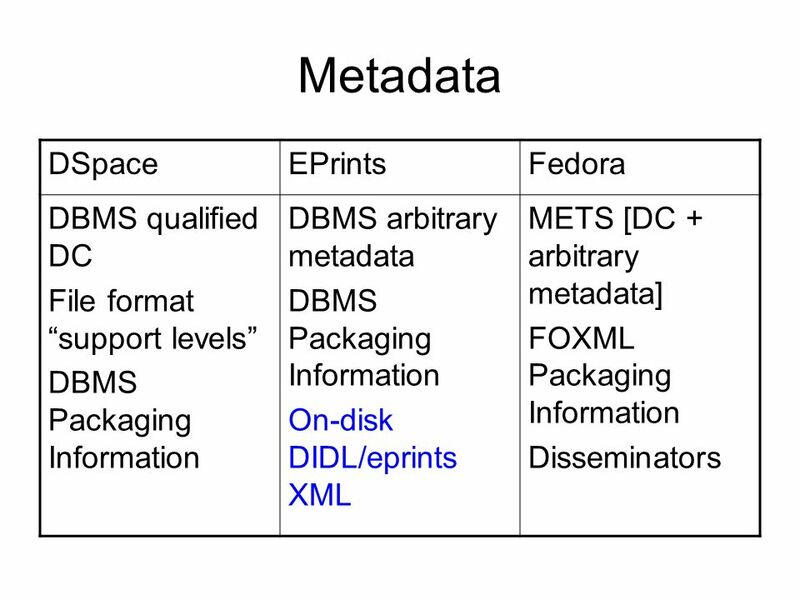 Preserving E-Prints: Scaling the Preservation Mountain Sheila Anderson, Arts and Humanities Data Service Stephen Pinfield, University of Nottingham.